It’s that time of year again for students. For some, they are embarking on their first year of university. For others, it is a return to the student life after a summer off. It is an incredibly exciting time for young adults and parents alike. Whilst it can be a scary time, it can also bring additional stresses that accompany the move/return to uni. 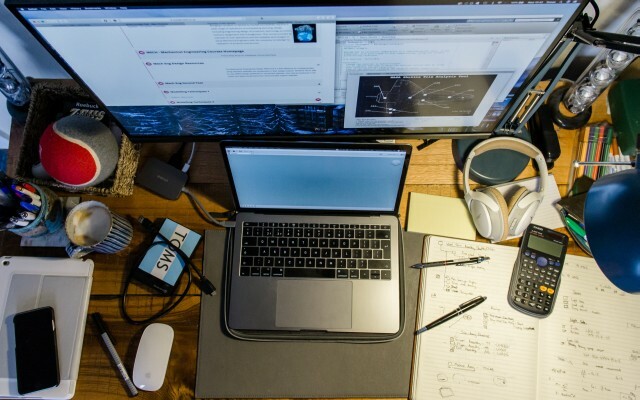 One of these stresses is the volume of clutter that students accumulate whilst at university. When many students get their first hit of the student loan, they tend to splash out on stationary and household items that become stewards of the bedroom or communal kitchen. Be it outdated class notes, student freebies, pizza boxes, empty liquor bottles that ‘would make an amazing candle holder’ and countless club leaflets; clutter tends to creep up on students in a big way. Therefore, we’ve compiled a few tips below to help you reduce the hassle when the time comes to return home again for the holiday season. Have a clear out – If you haven’t worn it, used it, or even looked at it twice in the last six months, throw it! Box your important items – Try and keep them as organised as you can, room-by-room. Then it’s simply a matter of writing ‘bedroom’ onto the box for you to easily store and unpack next term. Plan for the season – You aren’t going to need that winter coat or heavy jacket over the summer, so be sure to store it safely for when winter comes next year. Use sturdy boxes – The last thing you need when packing items for storage or to accompany you home is for them to break mid-trip, sending your Mickey Mouse alarm clock to an untimely gravitational mishap. Know what you need – Be sure you have everything you need especially if your home is far away from your university or college, or if the landlord won’t give you access over the summer! Storing items – Some landlords do not allow you to store items in an accommodation out of term time, which can make it difficult either side of term time. For this, there is, of course, your local friendly storage company which can keep your items safe, dry and insured whilst you are away! Location – The closer to your university or living accommodation the better. Use of a van – Some facilities will offer additional support to help you move your items into storage. Be sure to ask at the facility you wish to use. Check for insurance – Some storage facilities offer limited contents insurance, others go the whole way and fully insure. Ensure you have full access – Be sure to check that you have full access to your items for the time of storage and that the facility doesn’t close or is unmanned during key times. Security – Naturally, you want your items to be safe, so it’s important to check that the very facility that houses them also keeps them securely locked and monitored. Are you studying in South Wales and need access to a student storage facility in Cardiff or Bridgend? 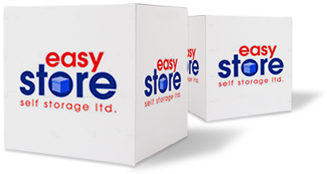 Easystore Self Storage offers safe, secure storage with free contents insurance at competitive student rates. The sites are fully accessible 365 days a year and come with free van hire – full details here.